I have been introduced to try out the food at The Champ Kitchen. Even though the restaurant looks normal but the food is super fantastic! I am very impressed with all the dishes served. Frankly speaking, it is definitely worth to try and the price is affordable. I strongly recommend you to try their signature soup. Actually I normally do not consume soups at the restaurant outside because those soup do not seems fresh. But I am here to tell you that the soup from this restaurant is definitely the best! The dry pork noodle is similar to Sarawak Kolok Mee, I suddenly miss my hometown so much. I always love the way the noodle is mixed with pork oil. For hose who love Sarawak Kolok Mee very much, you should try this out. I would say all the dishes are awesome! Must try all! This is the big pot where 150 pieces of pork knuckles can be cook inside here. You can witness this wonderful scene on Tuesday, Thursday and Saturday. The pork knuckle's recipe has been started since 1903. It takes 72 hours to cook the pork knuckles. Pork Hind Rice is a very best choice for those who cames for lunch or dinner. It is really a big bowl of rice which really can make your stomach full enough. There are a few options you can choose from the menu. I definitely recommended you to try out their noodles. The taste is similar to Sarawak Noodles. Beef lovers may choose to try out this braised beef brisket with noodles. Do you love spicy food? Spicy soup pork noodles is definitely your selection of the day. Trust me, it is nice! It is rare for us to find this fried man tao buns in any restaurants except those grand restaurants. I have paid my second visit to The Champ Kitchen because I miss their Noodles very much. 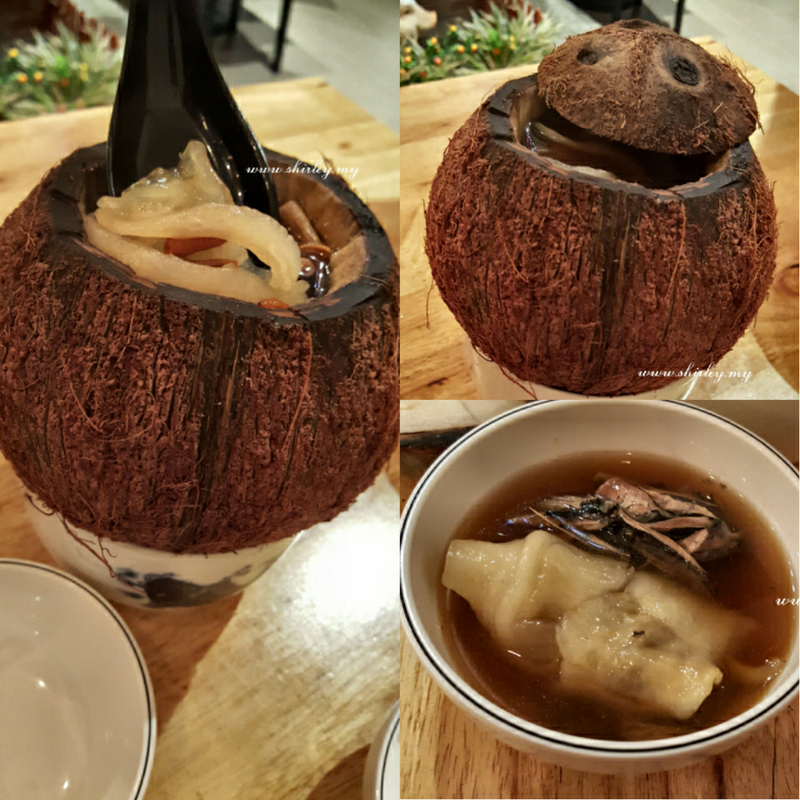 And here, the staff introduces us the soup of the day - Coconut Dang Gui Soup. It contains high collagen and it's definitely the best food for ladies.